A Mediterranean flavored dish that hits all the right notes in flavor and presentation. 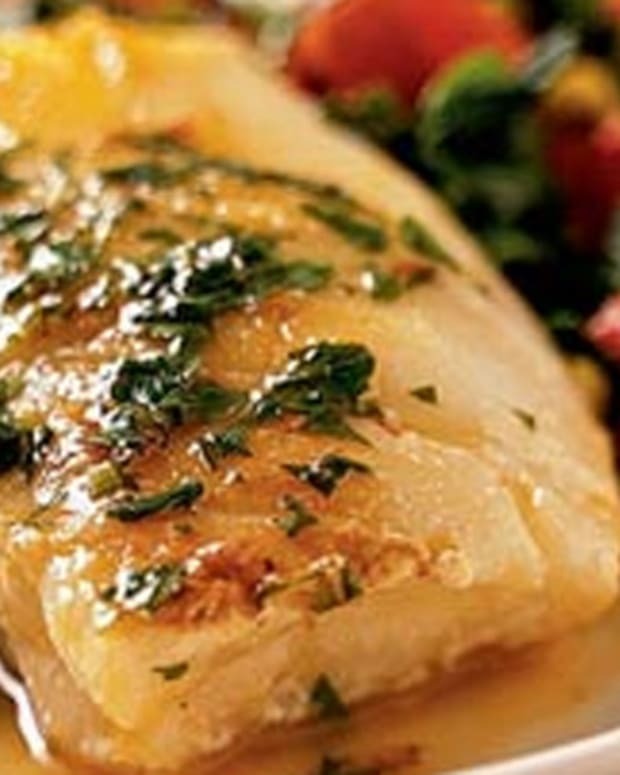 This sea bass is both light on the palate and satisfying. 1. Remove the large fronds from the fennel bulb and discard. Cut the bulb in half, directly through the core. Lightly coat in olive oil and place on a greased baking sheet, with the cut side down. 2. Toss the whole cloves of garlic in olive oil and place on the baking sheet. 3. 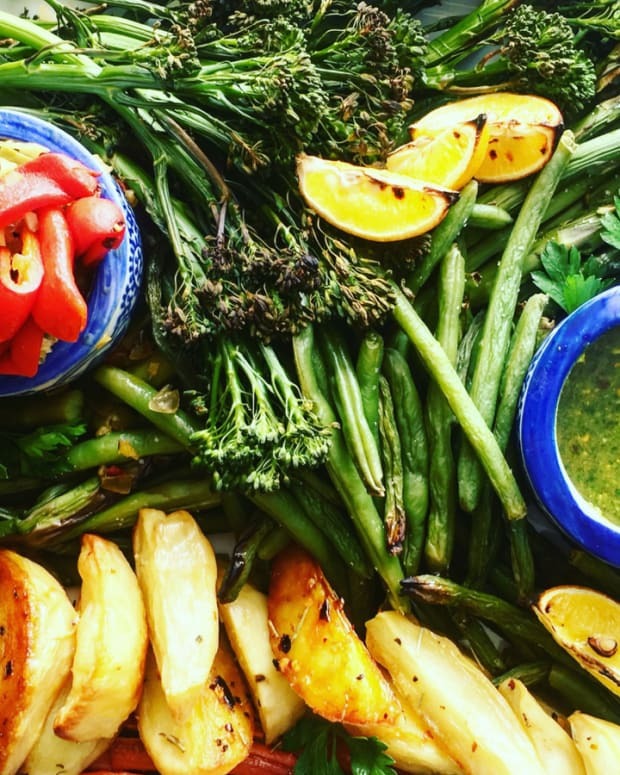 Toss the fingerling potatoes in olive oil and place on another section of the same baking sheet. 4. 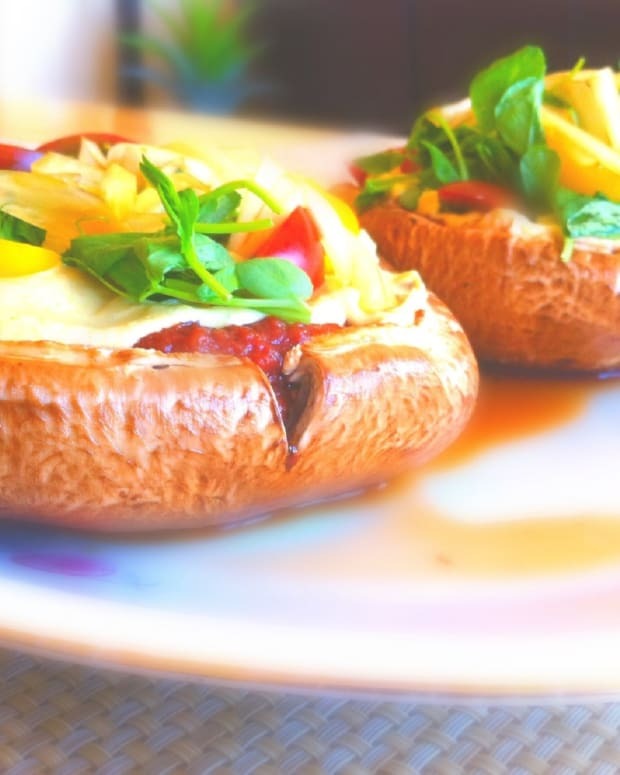 Bake the fennel, garlic and potatoes in a preheated oven at 350° F. Bake for approximately 45–60 minutes, until the fennel and garlic are fork tender and lightly caramelized, and the potatoes are fork tender. 1. Combine vegetable broth with brandy, orange zest and saffron. Add in tomatoes and fennel seed. Heat over medium-high flame until the mixture reaches a strong boil. 2. 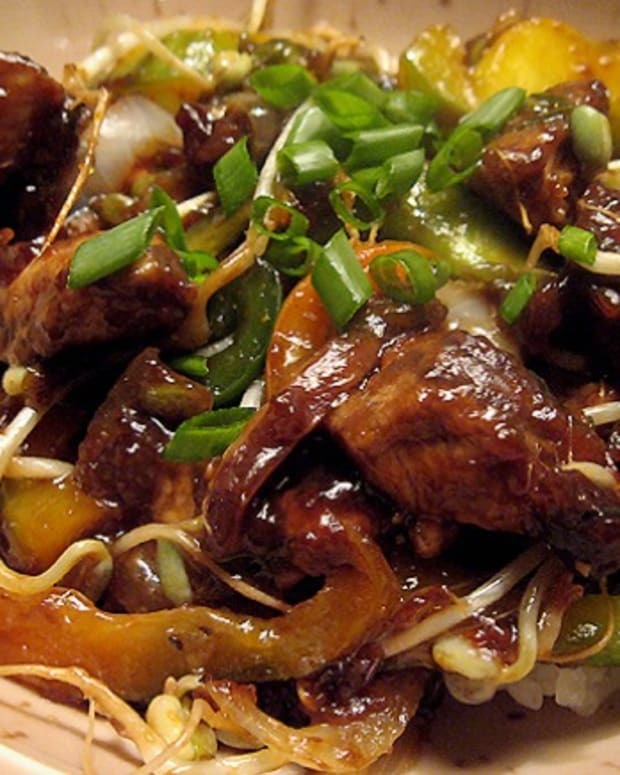 Add remaining ingredients and simmer for 15 – 20 minutes. Adjust seasoning with salt and pepper. 3. As the sauce is cooking begin preparing the vegetables. Cut the fennel into medium dice, cut the garlic cloves in half and cut the potatoes into 1/2-inch rounds. 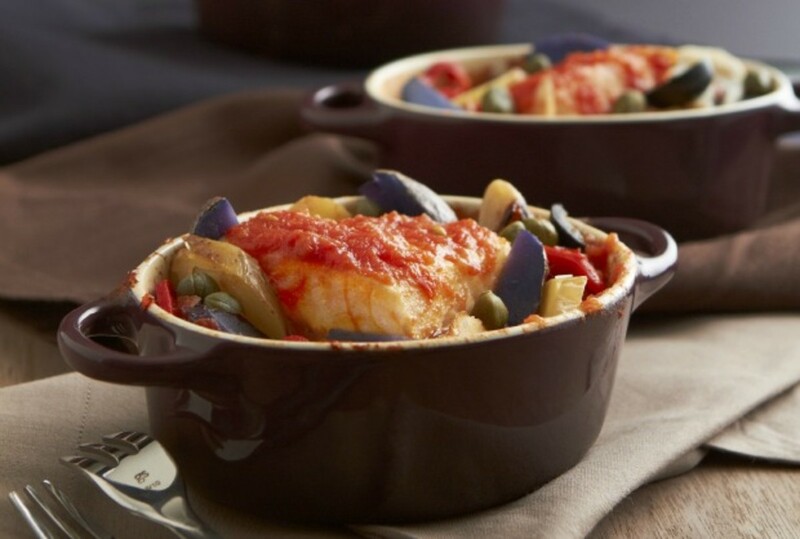 Combine all the prepared ingredients in a large bowl with the olives, capers and roasted red peppers. Toss with a little bit of olive oil. 1. 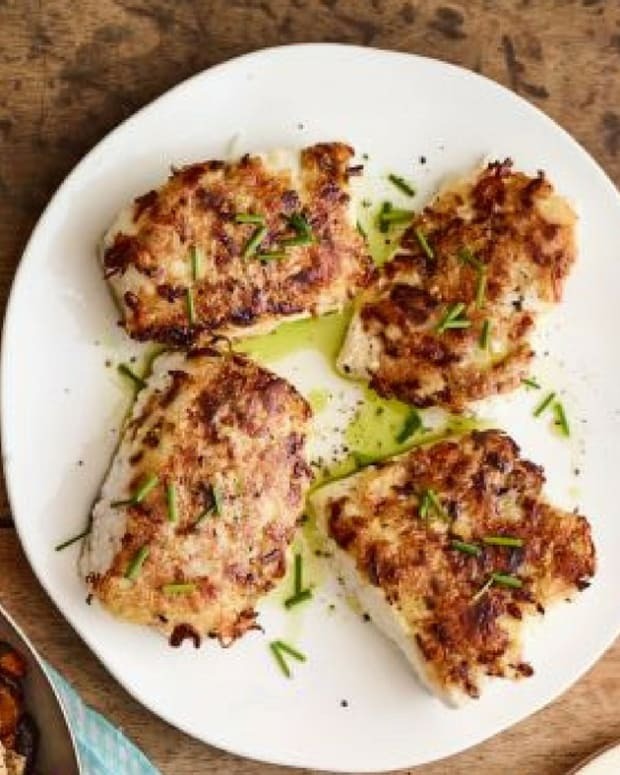 Drizzle the sea bass with olive oil, season with salt and pepper. Sprinkle the fresh herbs on the fish and place it in a large roasting pan. 2. Add in prepared vegetables and sauce. 3. Bake in the oven at 350° F for 12 – 15 minutes, until the fish is cooked through. 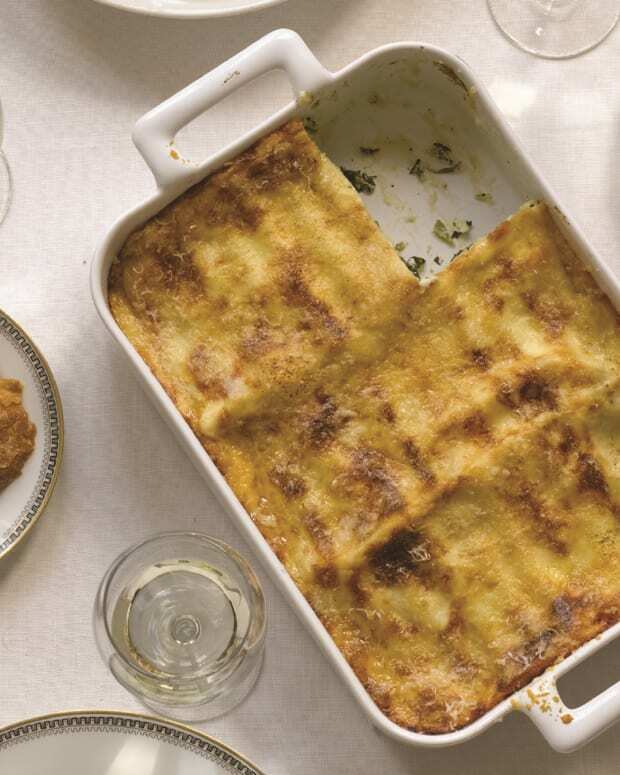 TIP: Several ingredients in this dish need to be prepared ahead of time, so plan accordingly. 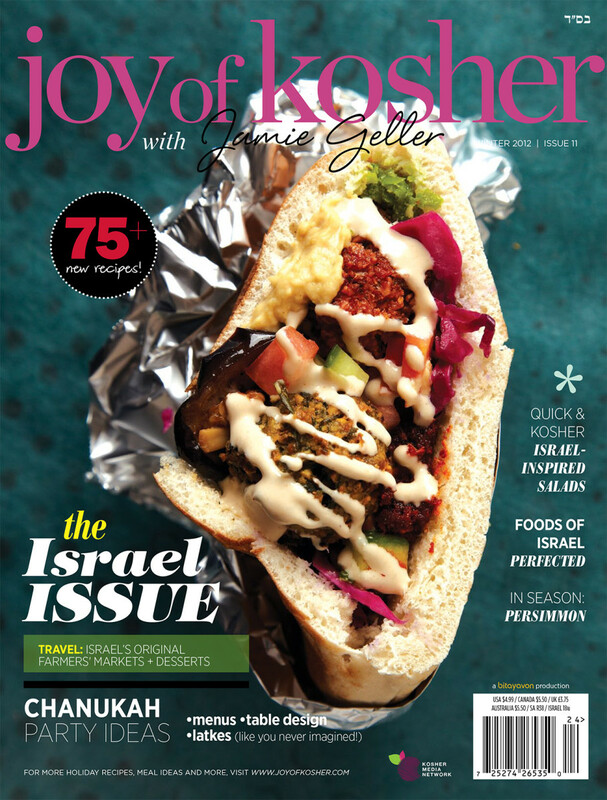 As seen in the Joy of Kosher with Jamie Geller Magazine (Bitayavon Late Winter 2012) – Subscribe Now.